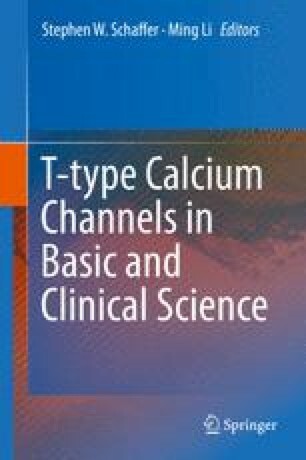 The T-type Ca2+ channels are both abundant in pacemaker cells and activated at low thresholds, properties important for involvement in diastolic depolarization. Although T-type Ca2+ current is tiny, bradycardia is induced by blocking the current with inhibitors or by genetic manipulation, supporting the view that the T-type Ca2+ channels play a role in the regulation of the pacemaker. Besides regulating pacemaker current, the T-type Ca2+ channels have been implicated in electrical remodeling and ischemia–reperfusion injury, events involving Ca2+ overload.